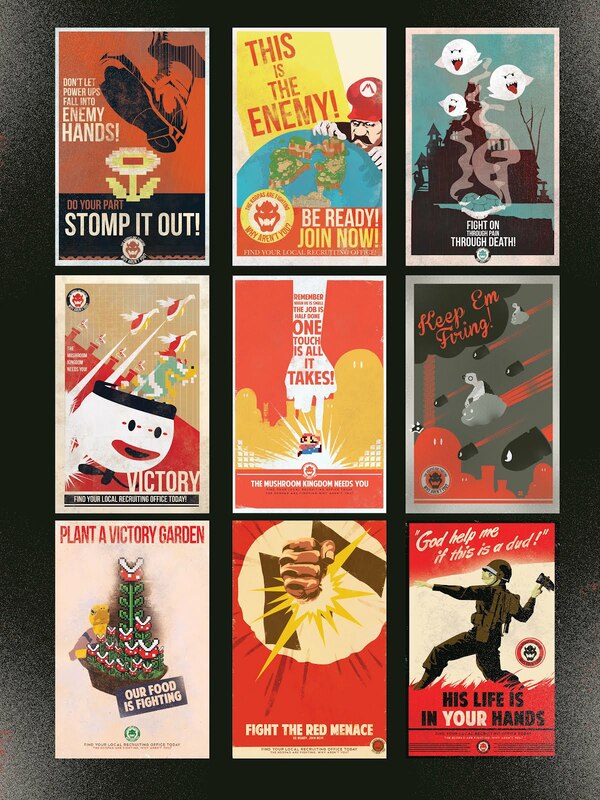 Fro Design Co have created this great collection of Mario propaganda posters, which are currently available to purchase. 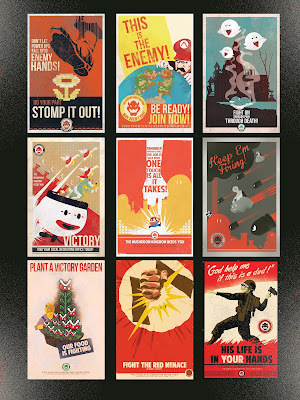 The collection is influenced by old war-time propaganda posters, but of course a Mario twist has been added into the mix. Rather than choosing to spread messages against Mario's reptilian nemesis though, Mario has been made out as the enemy. The collection comprises of nine 11" by 17" prints which are hand signed and numbered. The whole set can be bought for $150.00. Check them out below!